Shade. It can be a tent covering the play equipment or trees, but it has to be out of the sun. We live in Florida and it gets hot as Hades. Containment. Fenced in playgrounds are my favorite since the Hen is fast and I like to occasionally (who am I kidding, often) take breaks while he’s playing. Distance. Right now, Henry fall asleep if we are in the car for more than 15-20 minutes so I’m trying to stay as local as possible. 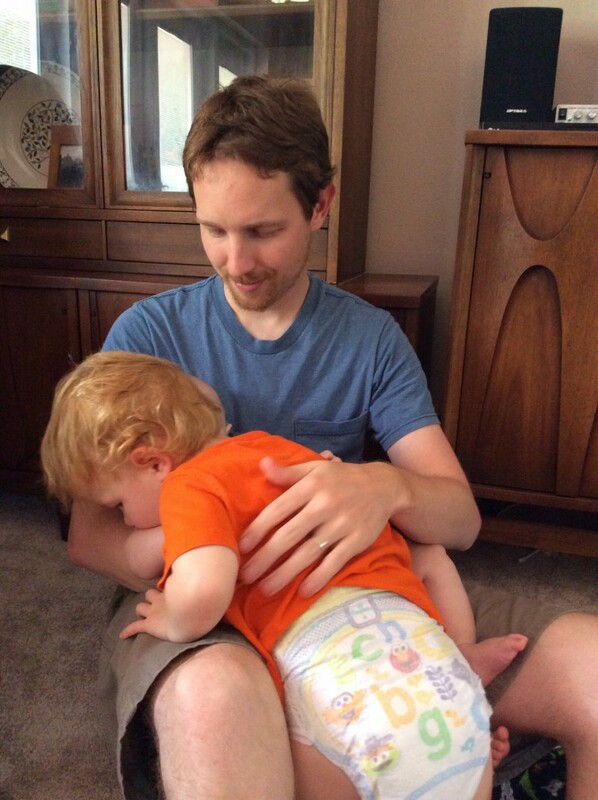 If he falls asleep, it’s like death for naptime and makes for a VERY long day. Variety of Play Equipment. I prefer there to be things for younger kids and older kids to enjoy. Since Henry has already mastered most of the 2-5 year ones, I like for him to have a challenge. X-Factor (for lack of a better term). This means that there’s a hiking path, splash pad, etc. available at the park that makes it even more awesome than average. 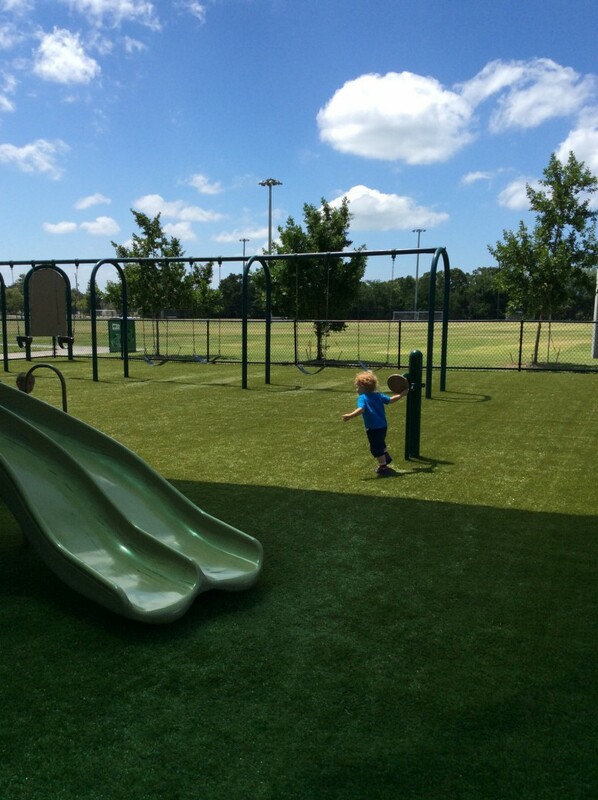 First up: the unnamed playground located at the Holland G. Mangum Recreation Complex in Seminole (located approximately at 9100 113th St N, 33772). 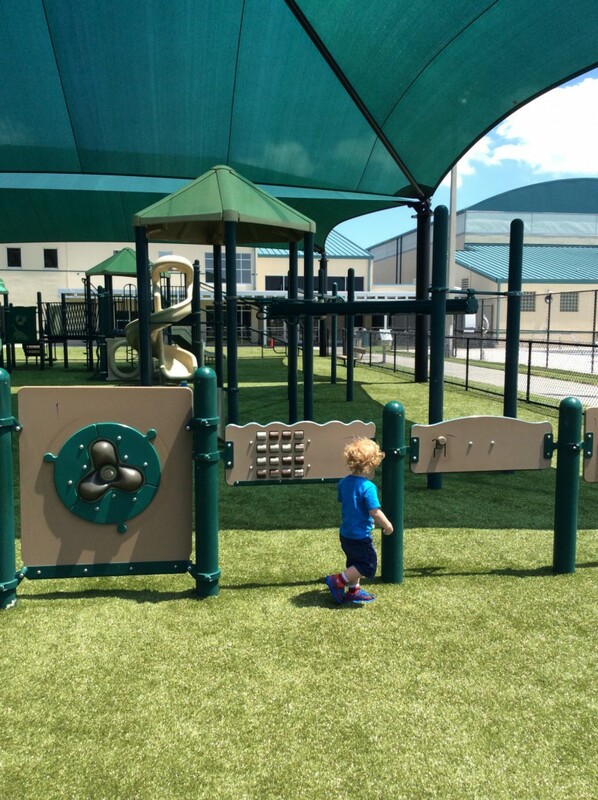 It’s a fantastic smallish play area entirely fenced in with tents above the main play areas, which is perfect for blocking the hot Florida sun. 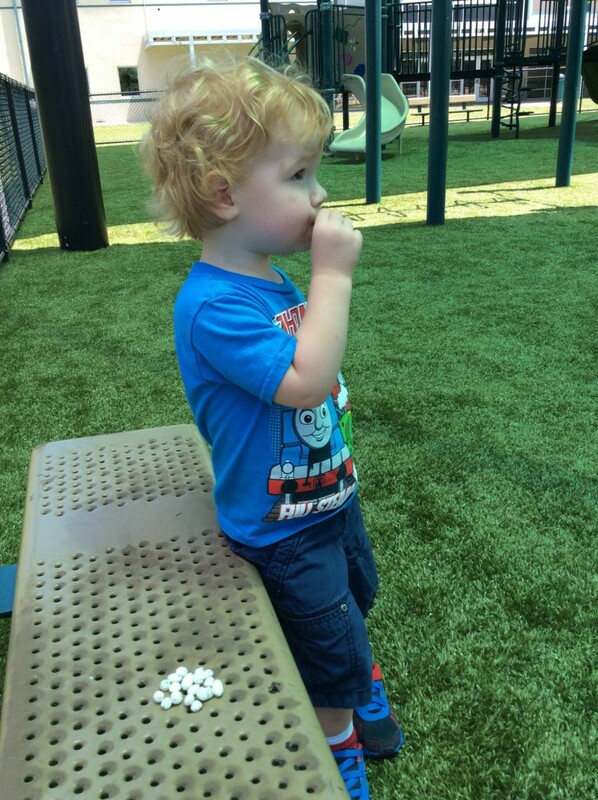 There are places to climb, hang, and slide, as well as benches to eat snacks. I also love the AstroTurf that the City recently replaced (it’s so soft you don’t really need shoes, but I make the Hen wear them anyway because rules). The main issue is the swings: they are not in the shade and like all black swings, they get mega hot in the sun. The City recently planted trees adjacent to the swings, but it will be a while before they provide shade. 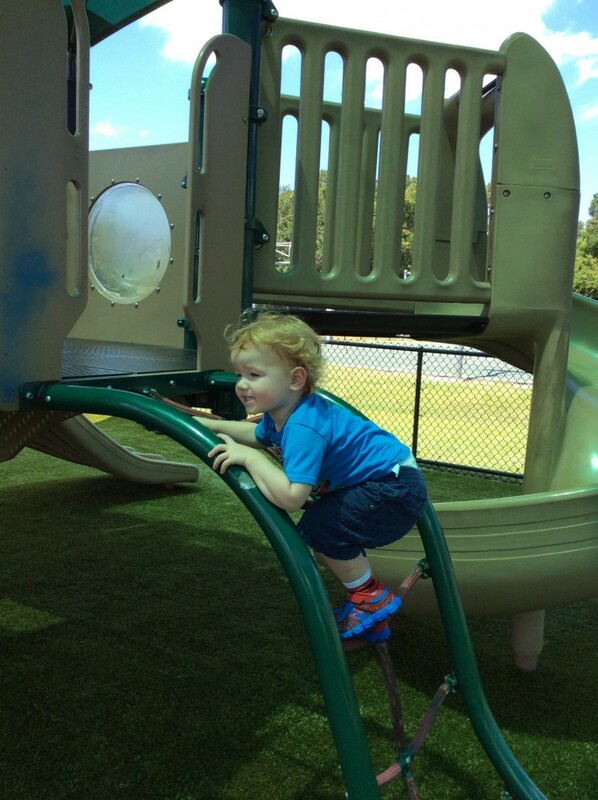 We play at this park on an almost weekly basis since it is so close to our house. Obviously, I love it. It’s part of a large complex that has sports fields, basketball courts, swimming pool and splash pad, and recreation center, but since we don’t live in the City limits and aren’t members, we haven’t used any of these facilities. Not all days are sunshine and rainbows, even in Florida where we literally have sunshine every single day and rainbows most days after a good rain (i.e. every day in summertime). 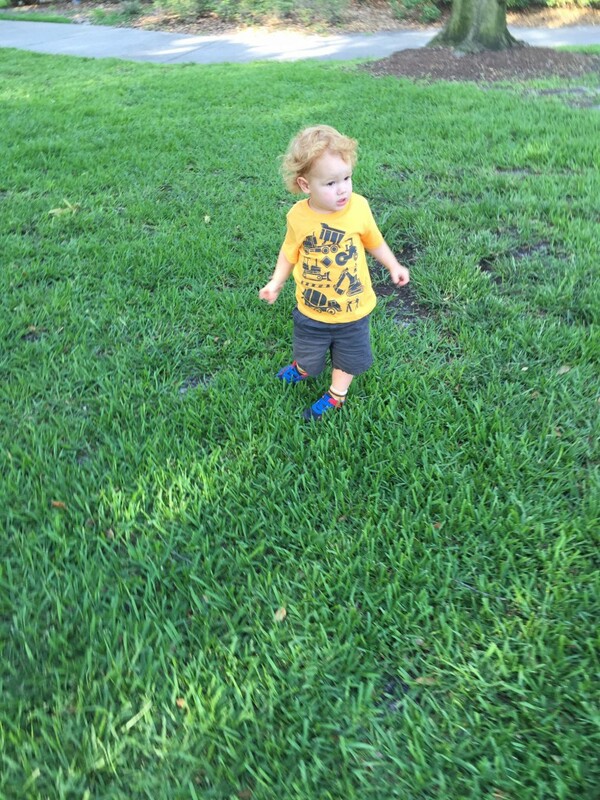 Henry has unfortunately entered a hitting and kicking phase and it’s driving me crazy! In the past it has just been directed toward me and Keith, which was bad enough, but he had his first instance of hitting at the YMCA Kids Zone on Wednesday. Before this, he was the one being hit, so I guess he decided to model the behavior. Ugh. 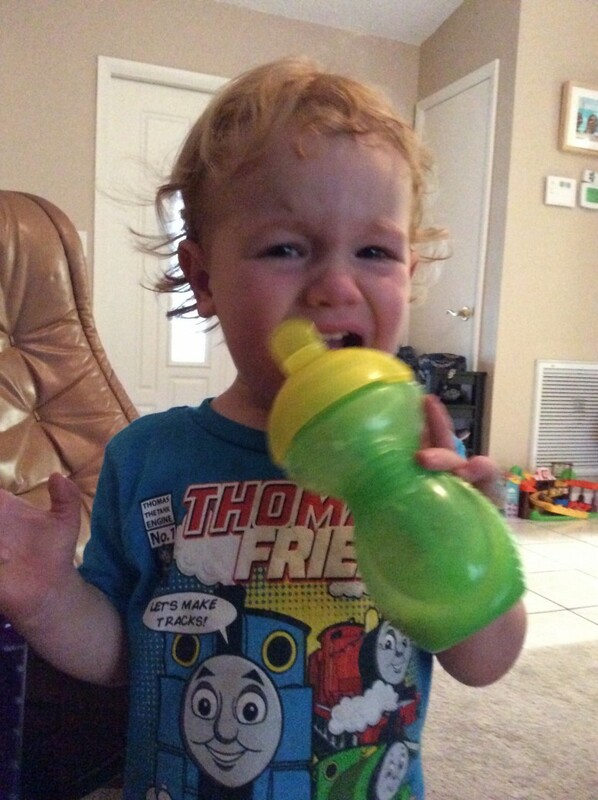 We told him that he wasn’t being a good friend and the behavior was unacceptable as it made us sad. Yesterday, he seemed to take the discussion to heart, at least at the Y, and no problems were reported. When we tried to leave the park last night, he had a major meltdown where he hit and pinched the crap out of Keith’s face. We talked about it hurting us and he understood. So we thought. Unfortunately, this morning has been all about Hen violence. First, he kicked one of the adults at the gym (he apologized, at least). Next, he had a meltdown while leaving the gym where he wrapped his fingers in my hair and pulled. 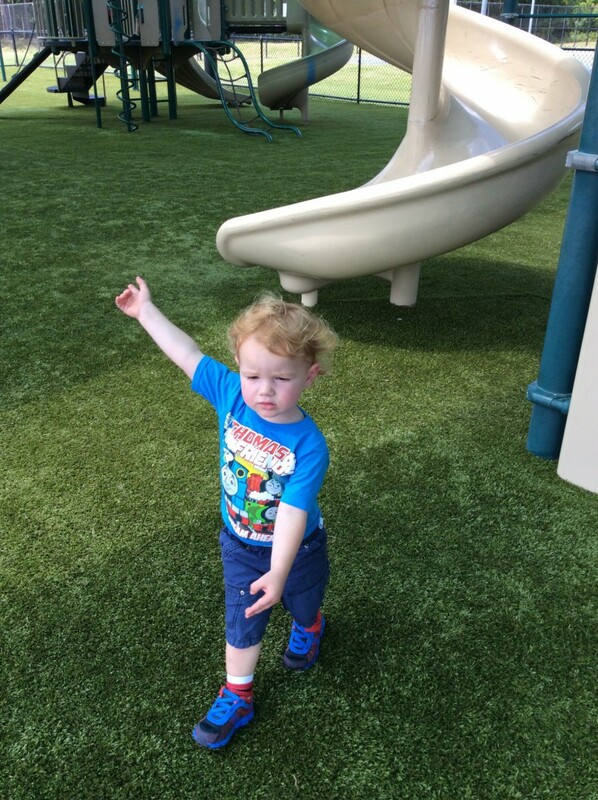 After having another talk about feeling angry and working on breathing and counting to four instead of acting out, we went to the playground where he seemed to get it together until right before we left where he kicked a boy about his age and then had to be carried kicking and screaming into the car where he fought the car seat by pinching my face. I know it’s a phase, but I feel like such a failure of a parent each time he can’t calm himself down or he lashes out. 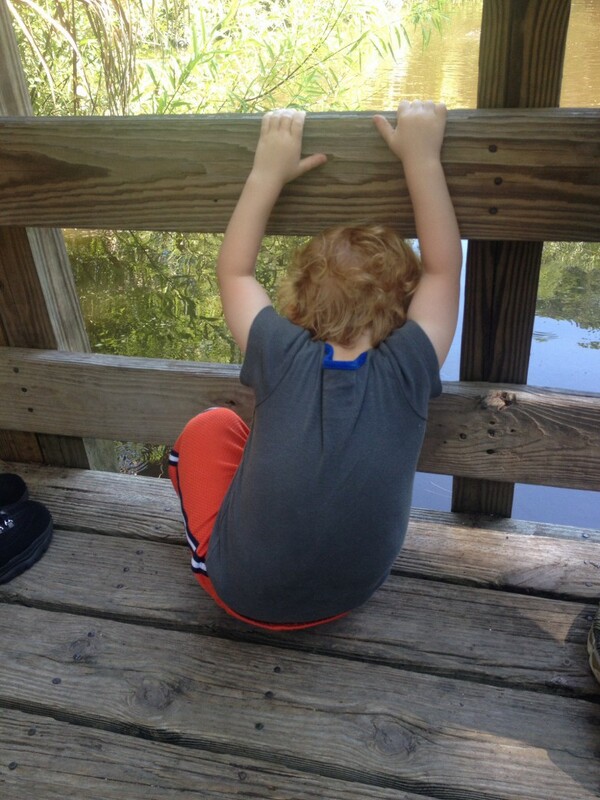 Transitions from one thing to the next are difficult for him right now; he’ll get the hang of them eventually. Until then, I have to remain calm and breathe (like I’m trying to teach the Hen), even when I’m the one who wants to scream. 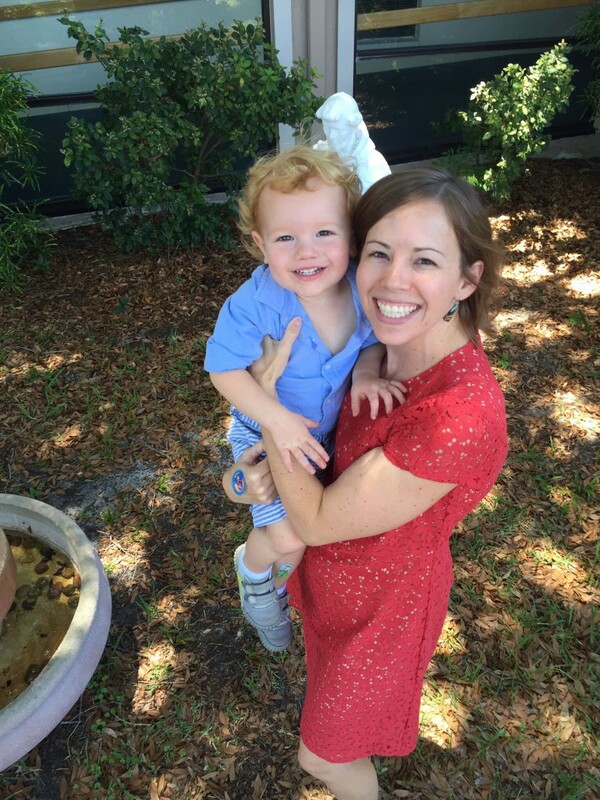 Henry and I generally take field trips on Fridays to a variety of fun places around the Tampa Bay Area. Today, however, we took a family field trip to the Museum of Fine Arts (www.fine-arts.org) in Saint Petersburg for two reasons (besides it being a beautiful museum): (1) it only costs $5 a person on Thursdays after 5pm and (2) its special exhibit, Monet to Matisse On the French Coast, closes on Sunday. It was a small, yet lovely exhibition focusing on Impressionist and Modernist art on the Southern and Northern coasts of France. Several of the paintings usually reside in private collections, and those turned out to be my favorites (especially the obscure Picassos). 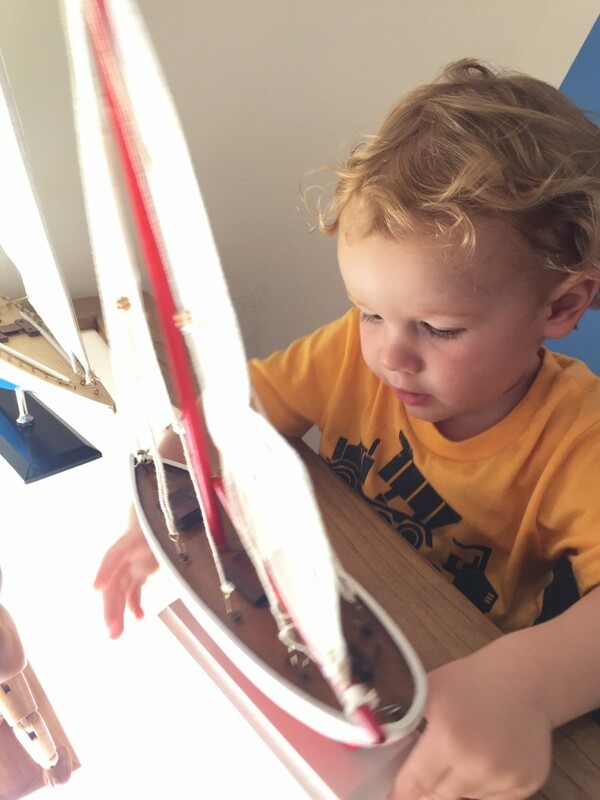 Henry loved seeing paintings of sailboats and animals, and commented on his favorites quite loudly. 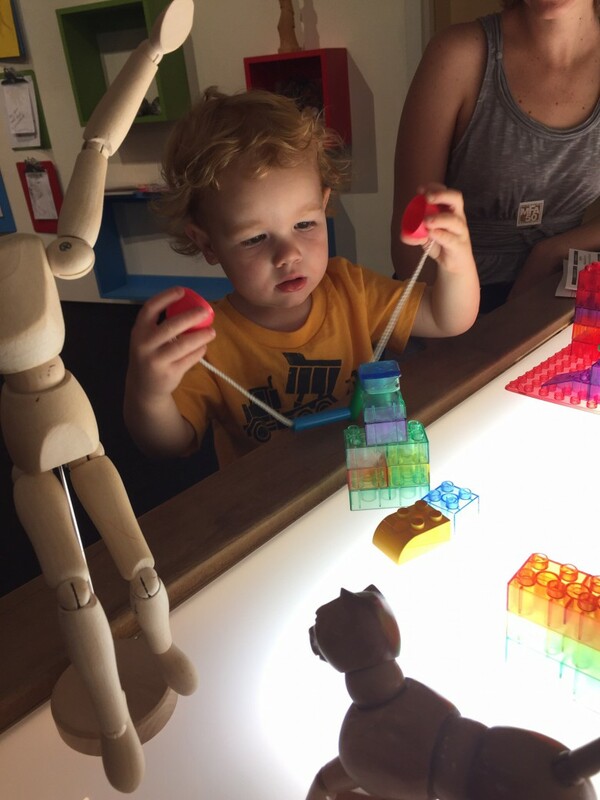 He had the best time in its children’s art room, where he built towers, played dress up with beach gear, and colored boats – all in the vein of coastal France. It was pretty cool. 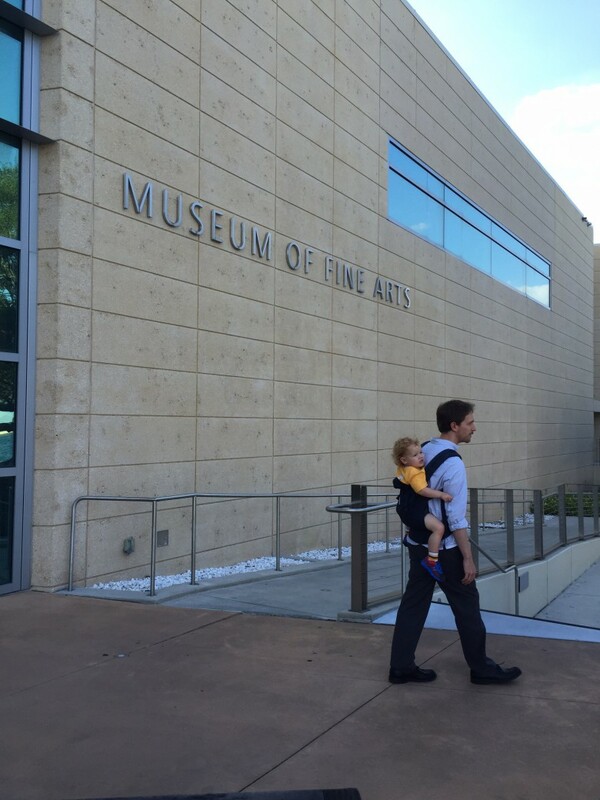 We made it through part of the permanent collection when Henry decided it was time to leave to walk along the bay. I love Saint Petersburg, especially the way its residents simply enjoy being outside on a Thursday evening, whether strolling, running or biking along the water, playing trucks in the park, or reclining under the magnificent banyan trees. 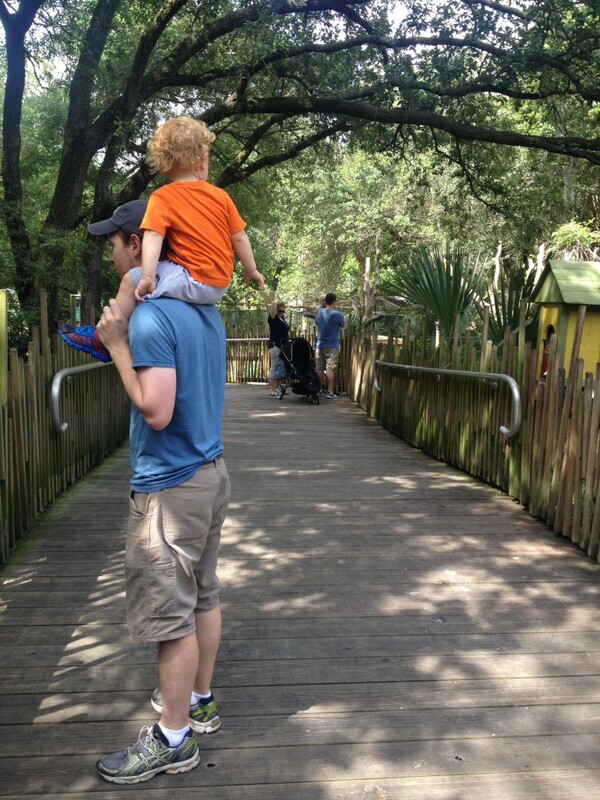 If Henry hadn’t had a major meltdown as we were leaving, I would say it was a perfect evening. 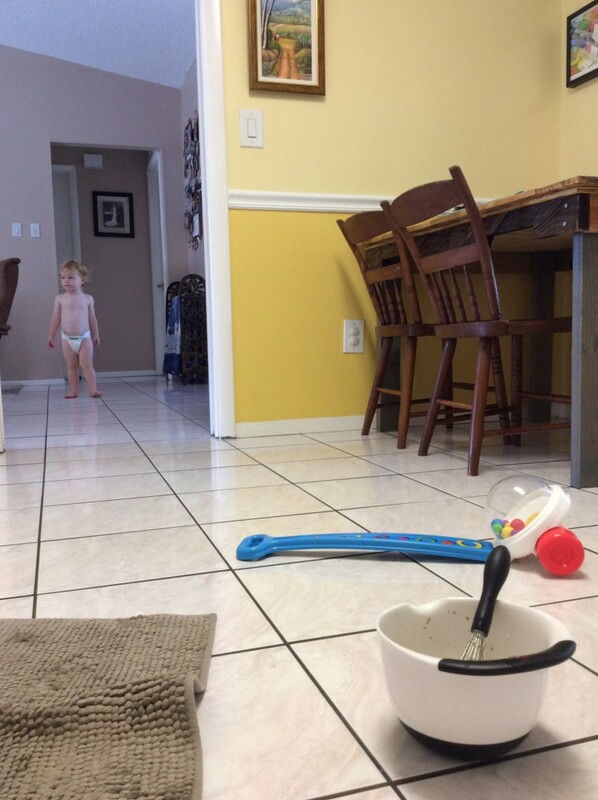 Oh, toddler dictators, you are the worst sometimes. Henry is often my helper in the kitchen. It’s much easier to make dinner or bake with his help than his distraction that comes from not helping. 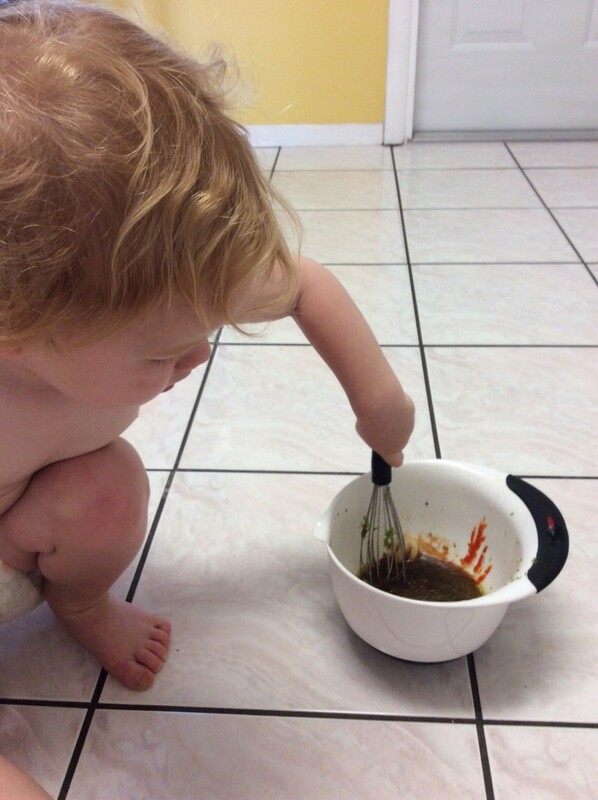 If he can’t assist, then he opens the fridge 727 times, takes out everything from the utensil drawer and all the storage containers, then moves on to the pots and pans. 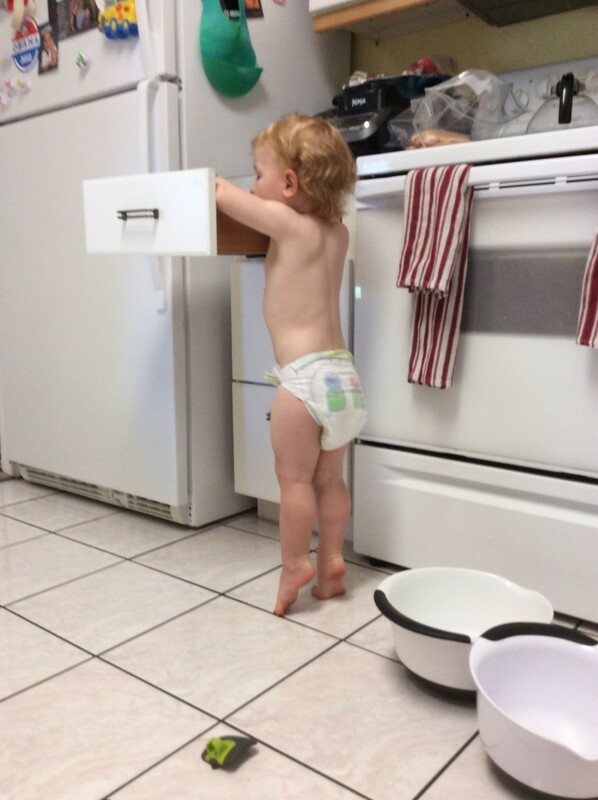 We keep telling ourselves we need to lock down the kitchen cabinets, etc., but haven’t entirely decided to do it. So “helping” it is! Yesterday I had to get the chicken marinating early so Keith could grill it for dinner. The Hen helped me dump all the ingredients into the bowl and stirred it all up, with my help, before I dumped it over the chicken. It was so simple, and made the BEST chicken we have ever eaten at home. Perfectly moist, flavored, and crispy on the outside. The Sriracha added a touch of heat, but not too much. 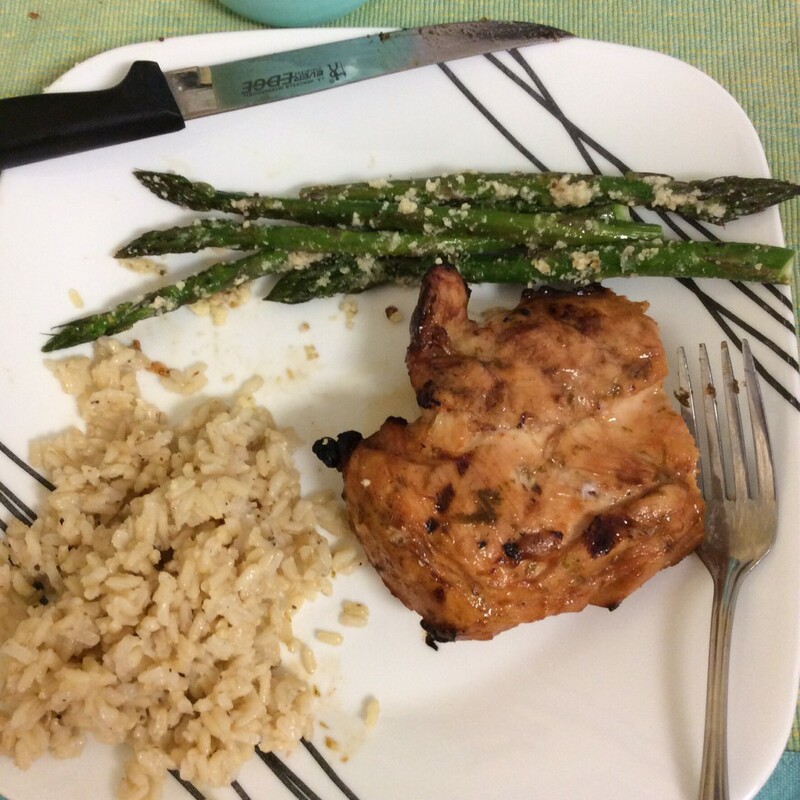 We made it with roasted asparagus and brown rice. It is definitely getting added to our dinner rotation! In a small bowl, whisk together the honey, soy sauce, olive oil, lime zest and juice, garlic cloves, Sriarcha, and salt. 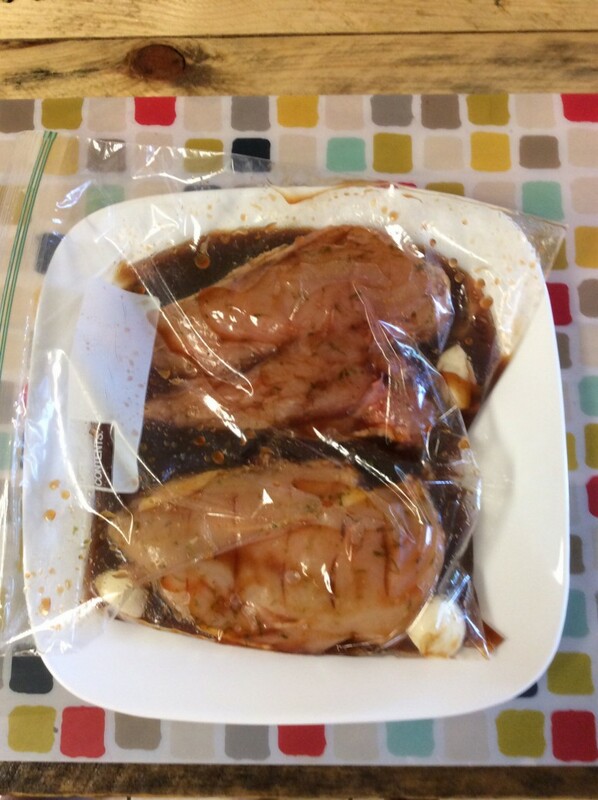 Place the chicken in a gallon sized ziptop bag or other resealable container and pour the marinade mixture all over the chicken. Seal the container and shake to coat completely. Let marinade for at least 4 hours or overnight. Remove the chicken from the marinade before grilling, discarding the leftover marinade. Prepare the grill for direct cooking over medium heat (350-450°F). Grill the chicken with the lid closed as much as possible until the meat is firm and opaque with an internal temperature of 165°F, about 4 to 6 minutes per side (longer if the breasts are bigger like ours were). For Memorial Day we had two kids. I don’t understand how parents of more than one child do it – we were exhausted yesterday and it didn’t seem like it was that hard compared to normal. Backing it up, our niece’s daycare was closed for Memorial Day, and her parents had to work. 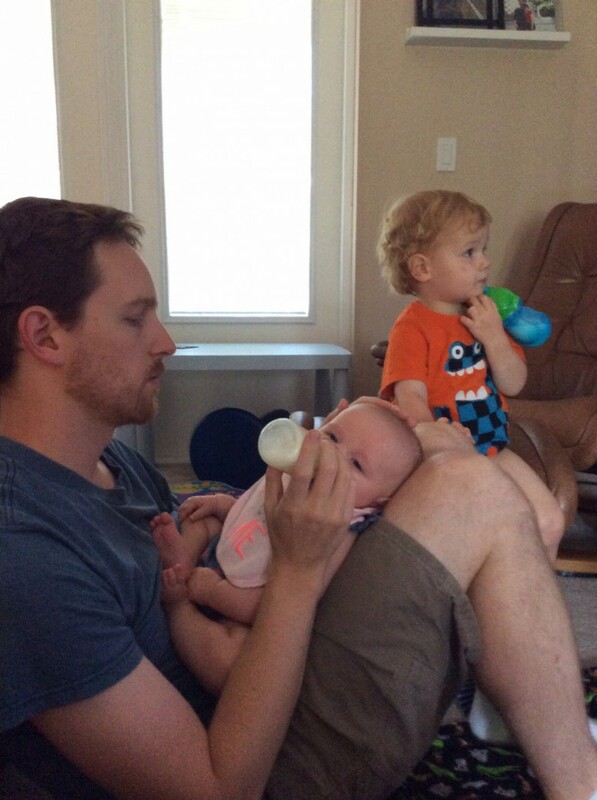 Since I’m home with Henry, and it was Keith’s day off, we were able to watch baby Finley. 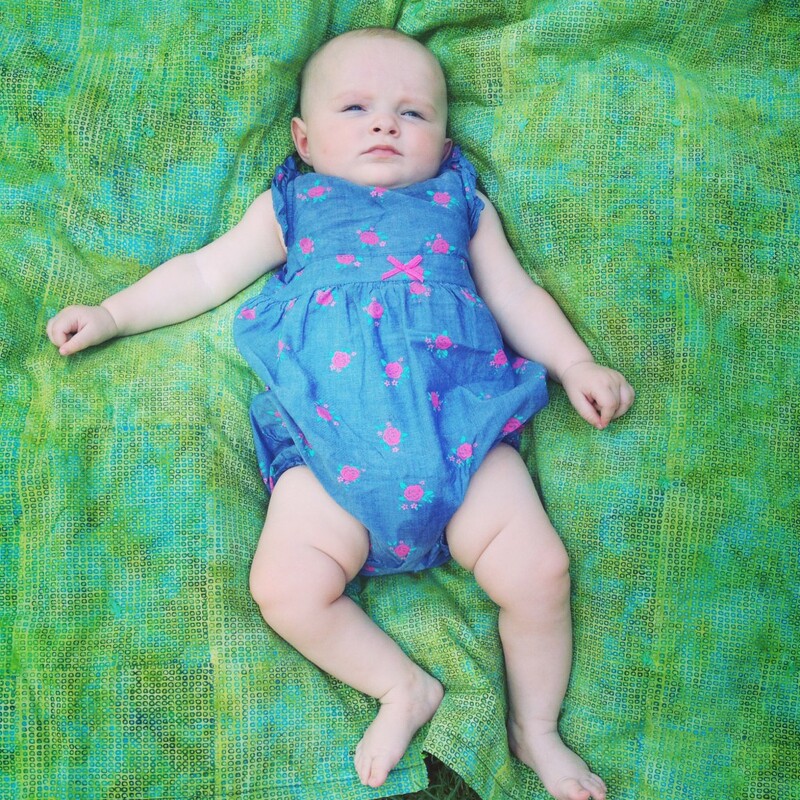 She is 4 months old, so all she really does is eat, sleep, poop, and look super cute. She’s also rolling over, but not liking it because she can’t roll the other direction. 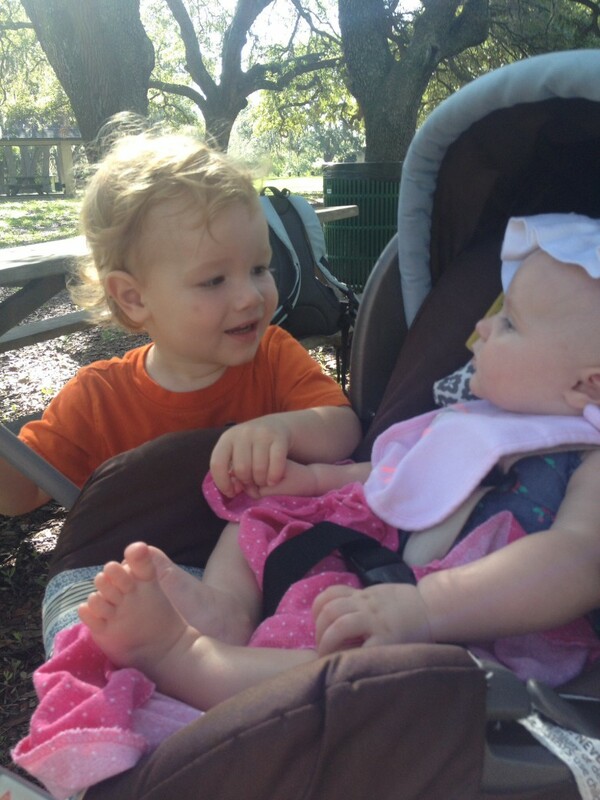 We met up at Zoo School at the Lowry Park Zoo in Tampa since that’s where cousin Grayson goes. It looked like a fun place to go to preschool; they get to take field trips into the zoo to hang out with animals all the time! We are zoo members so after a snack at the park, we went inside to check out the animals. Usually we head to Africa, but the Hen wanted to see the tiger first so we strolled towards Asia. The tiger was pacing back and forth! Hen remembered the dinosaur lantern-like sculptures from Zoominations and raced towards them because dinosaurs are awesome. 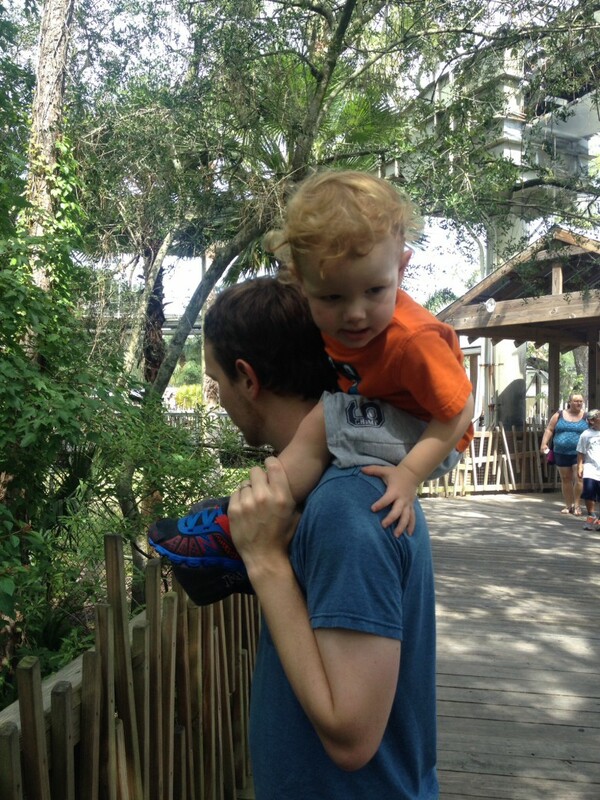 He also loved seeing the fish, manatees, and otters. 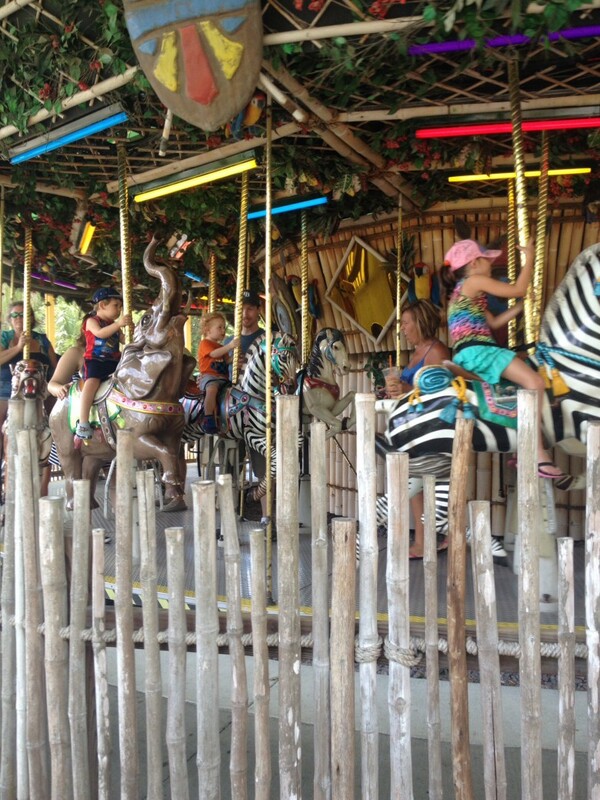 We left at 11 after a quick trip on the merry-go-round and walk through the petting zoo because it started getting insanely crowded and hot. 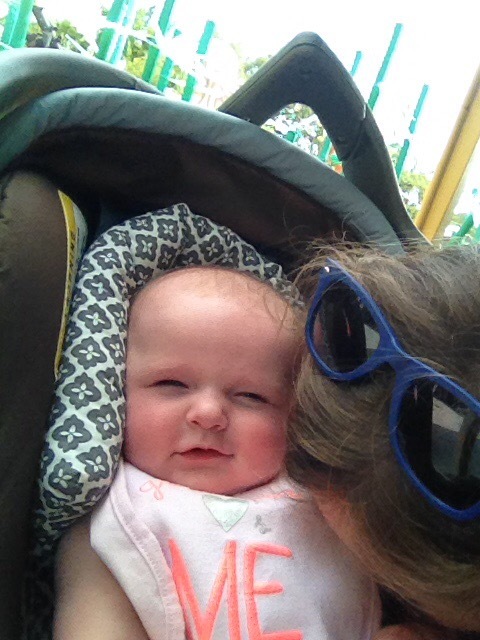 Finley had no zoo preferences; she drifted in and out of sleep and drank a bottle. The kids fell asleep for about 10 minutes on the way home and Henry thought that was enough of a nap for him so he skipped his nap later on, choosing instead to destroy his room. After lunch, Finley took a two hour nap next to me. We all played outside while Keith took a well-deserved break (he was in the insanity of the no nap zone) in his hammock before heading off to dinner to meet my bro, sis in law, and nephew at P.F. Changs. Henry went to sleep fairly easily (luckily), and we crashed and watched Birdman (Keith liked it, I thought it was weird but cool to see behind the scenes of Broadway and enjoyed the drum solos). 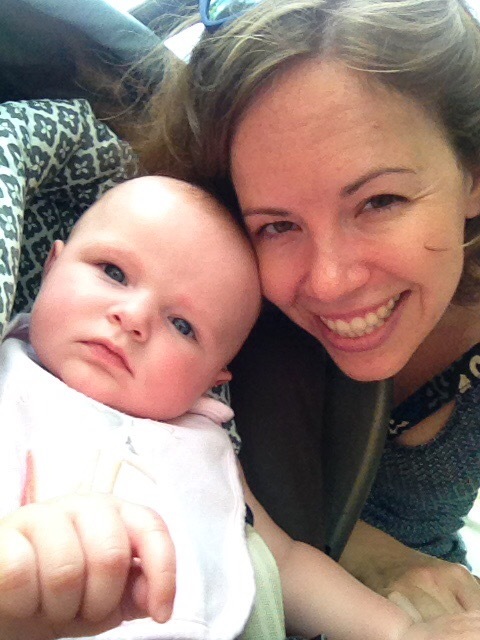 Again, Finley was a dream of a baby, but still we were tired – can we get a makeup holiday please? 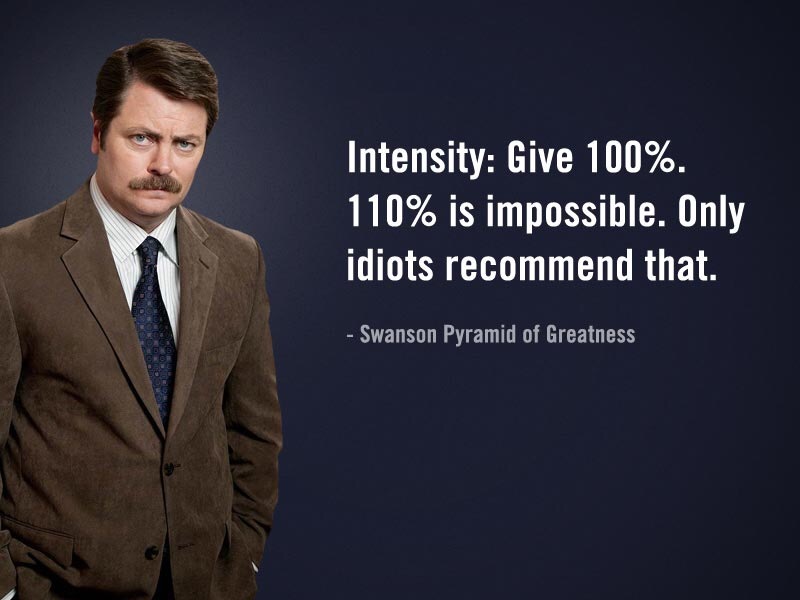 I know I’m late to the game on this, but can I just say how much I love Parks and Recreation! Keith and I are in the middle of season 4, and each episode is even funnier and more tightly written than the next. We tried watching it when it originally aired, but thought it was too close to The Office to watch. We were wrong. Duh. I think it’s so much better. Apparently, today is World Turtle Day, which I didn’t know existed until Facebook friends posted super cute turtle pictures this morning. Its purpose is to bring attention to, and increase knowledge and respect for, turtles and tortoises, as well as encourage human action to help them survive and thrive. As Floridians, we see turtles nesting on our beaches, and the direct adverse affect of humans on the turtles’ abilities to nest. In our area, the McGough Nature Park is home to a huge turtle population, so we decided to spend our morning hanging out with them. 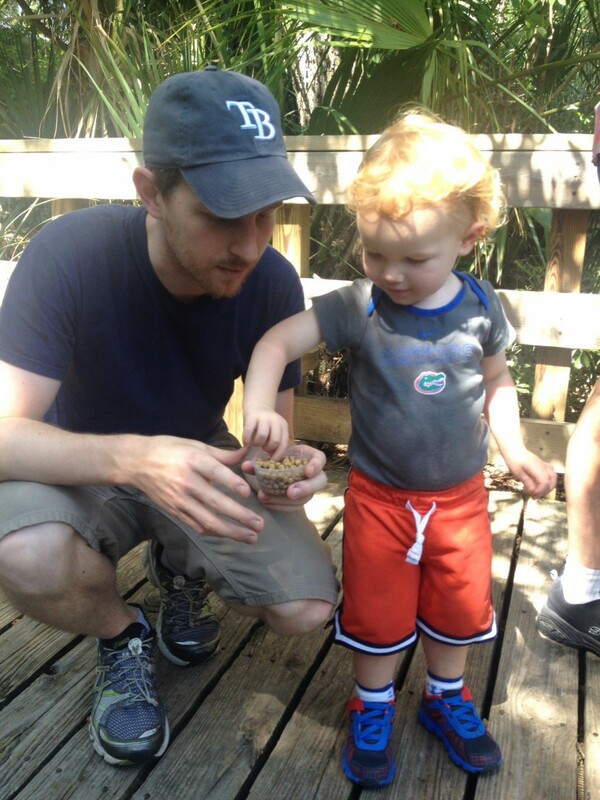 The nature center provides food for a small fee, and Henry loves to feed the turtles. 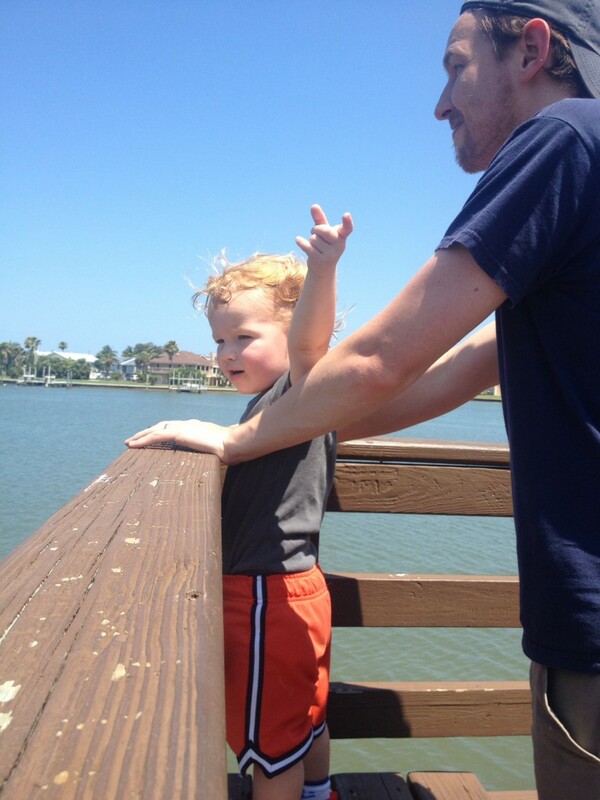 I think he’s pretty good about dropping the food close to the dock and also scattering it farther away. 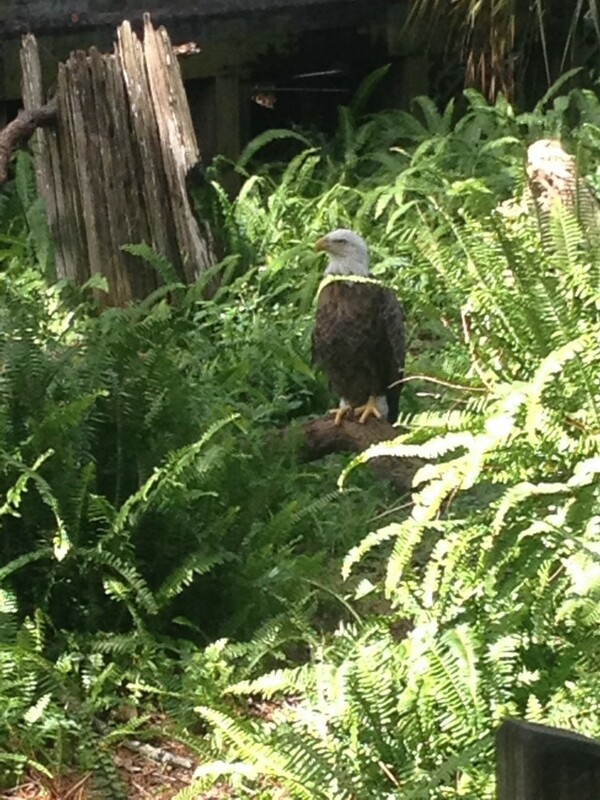 In addition to turtles, we saw ducklings, red-tailed hawks, owls, reddish egrets, tortoises, snakes, and fish. 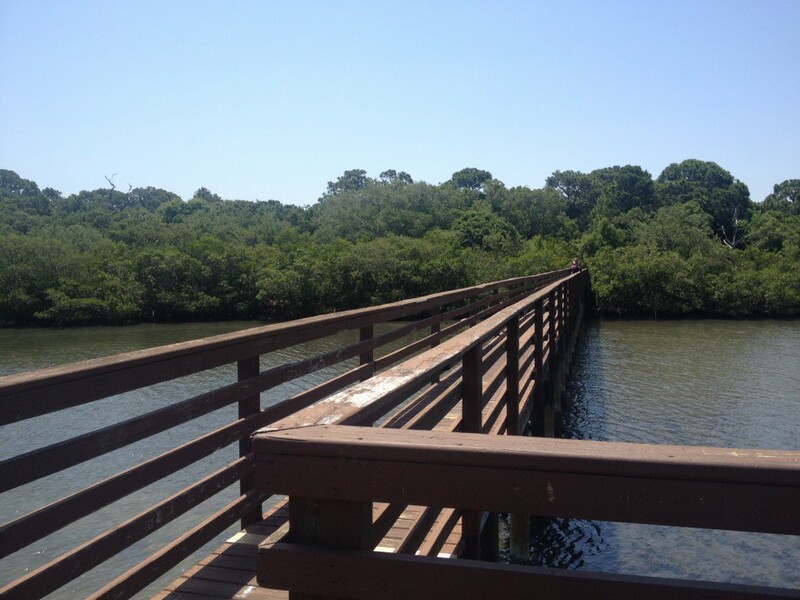 We hiked along its awesome boardwalk through saw palmetto and alongside mangroves to the intracoastal and watched the drawbridge let a sailboat through. It was a pretty fantastic morning for a two-year old. 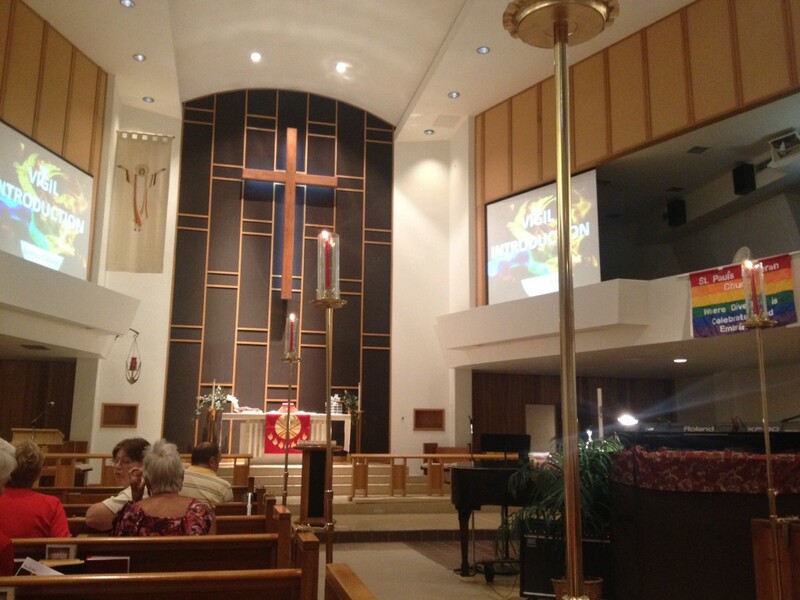 This evening, we attended our first ever Pentecost Vigil at St. Paul’s Lutheran Church in Clearwater. 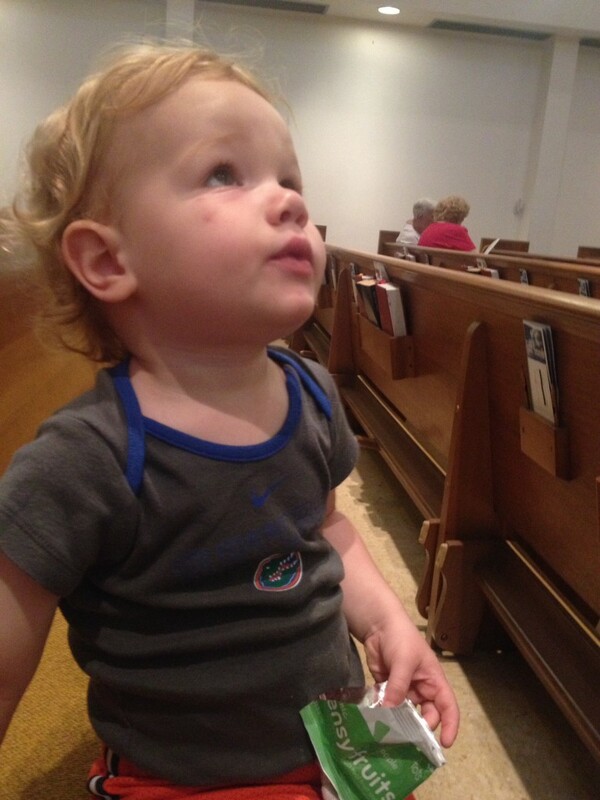 Henry loved the procession of fire and the red banners waving above the congregation. 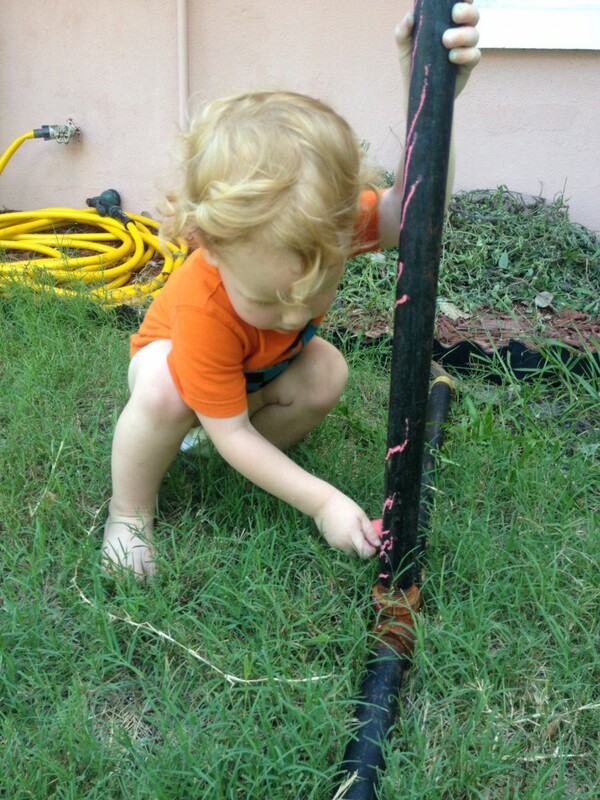 He may have loved playing with the drinking fountain even more (who am I kidding, the drinking fountain was his fav). We even sang one of my favorite songs “Lead Me Guide Me.” It reminds me of our time spent in Philly at St. Mark’s Lutheran, where it was sung with such gusto, it put a smile on my face. Even while typing out the chorus, I’m singing the song in my head and smiling. Some songs just do that. 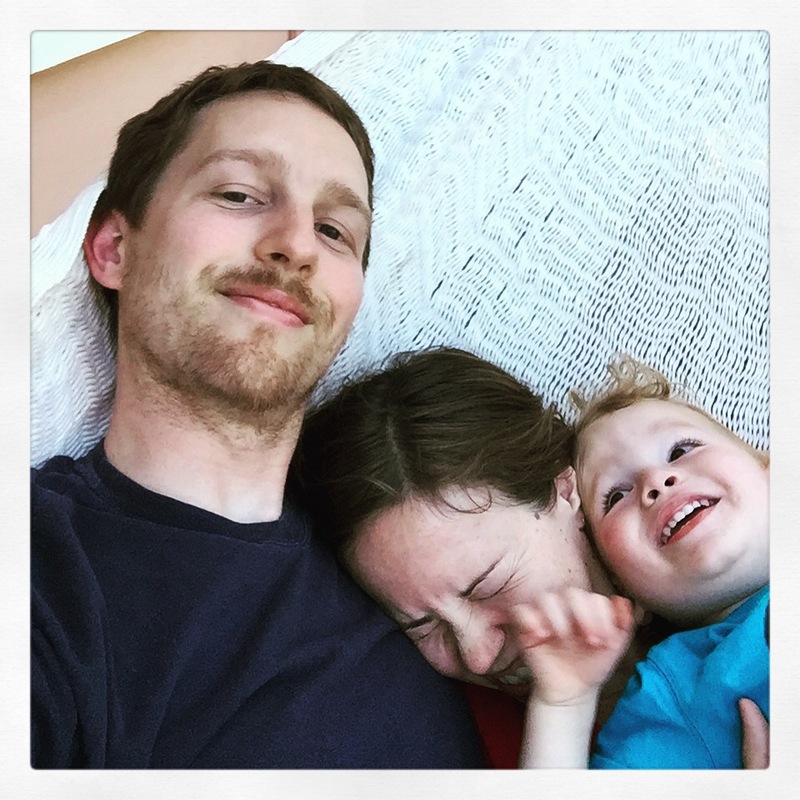 On Fridays, we pile in for family hammock time. 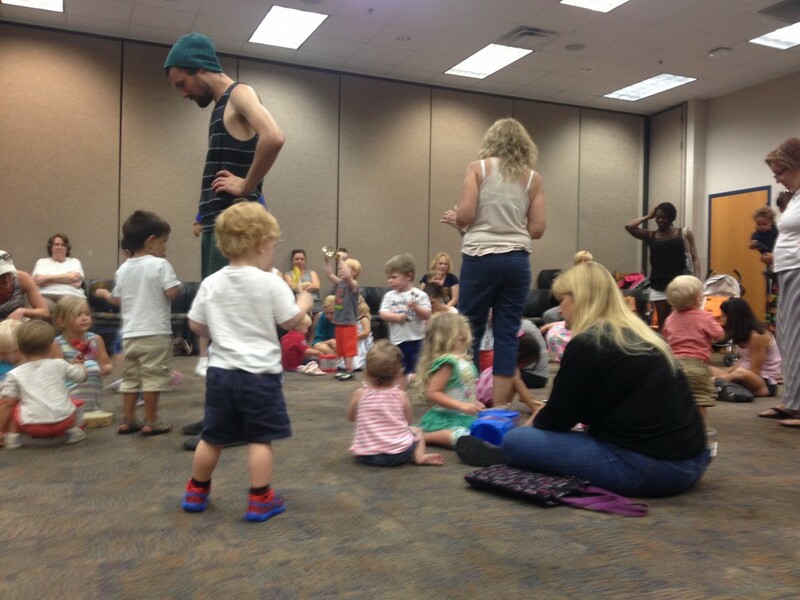 Henry and I spend most Thursday mornings at “Wiggle, Giggle, and Sing” at the Seminole Community Library. The program itself starts at 10:30, but beginning at 10am there are toys for the under-five set to play with and get some energy out. It’s a nice way to ease into the chaos that is 30+ toddlers and their caregivers dancing around. 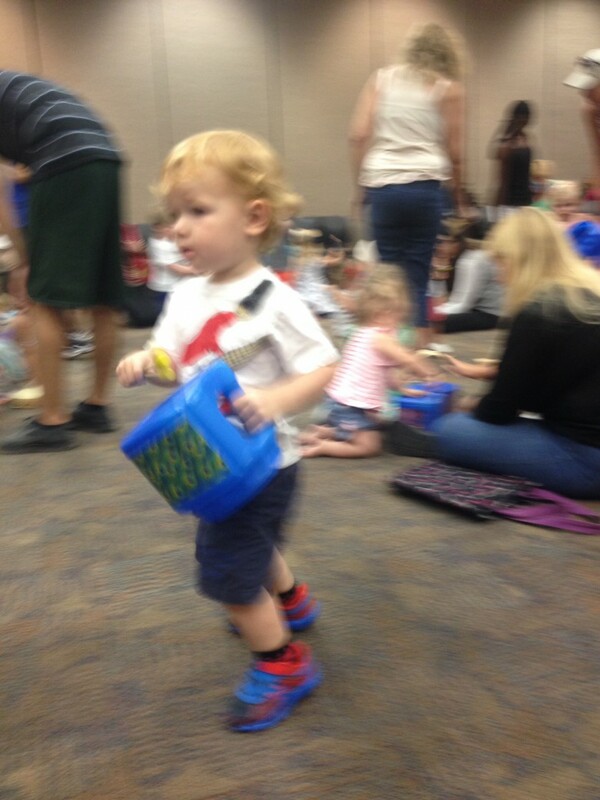 The class consists of 10-15 minutes of movement-based songs, then 10 minutes of dancing with beanbags, handkerchiefs, or a parachute, and 5-10 minutes of playing with musical instruments. 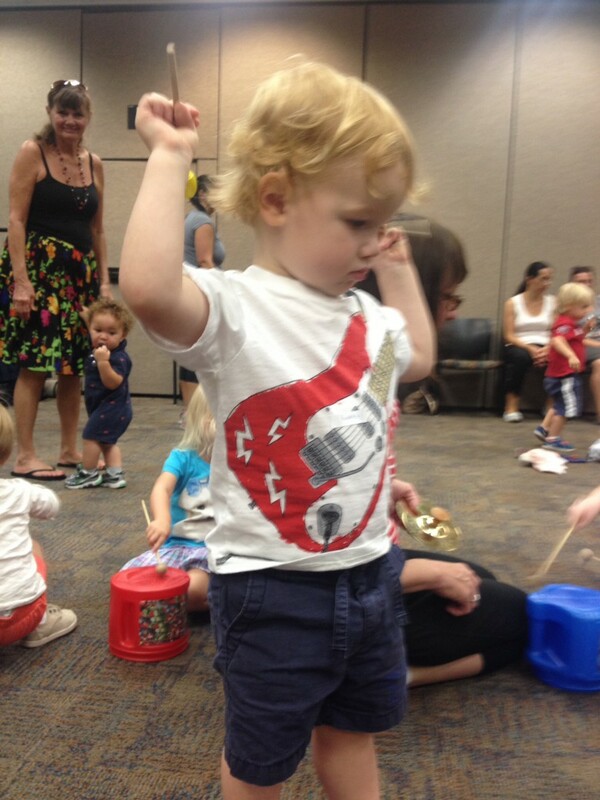 drumming like Animal from the Muppets! Afterwards, we either color or do the craft of the week, read a few books (trucks, trucks, and more trucks these days), and play with the puppets in the puppet theater. Henry and the other kids mostly throw the puppets from the ledge and hide behind the curtain while giggling excitedly. It’s pretty adorable. We finish by eating a snack outside at the picnic tables because all that playing builds up quite an appetite. Yogurt raisins and oranges are usually the perfect combination. 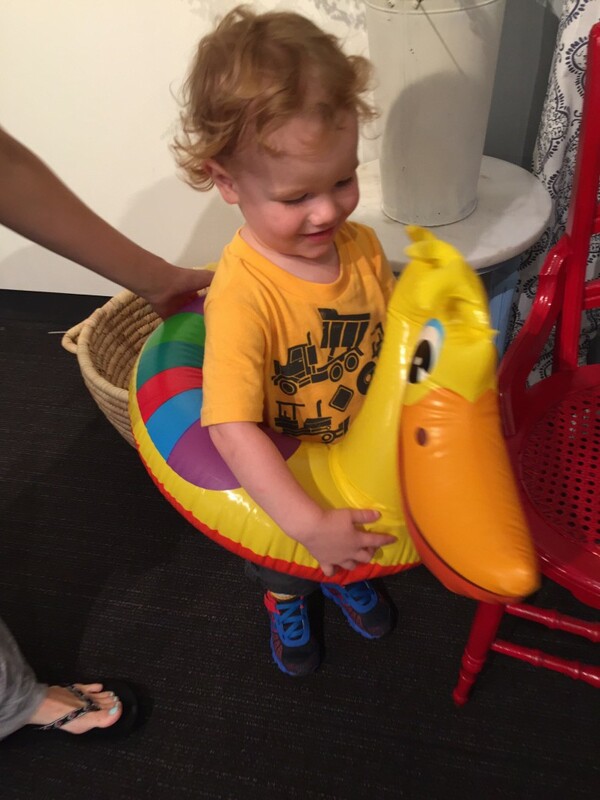 Today we had two special guests with us – my parents, Grandma and Grandpop to Henry, are visiting for a couple days. 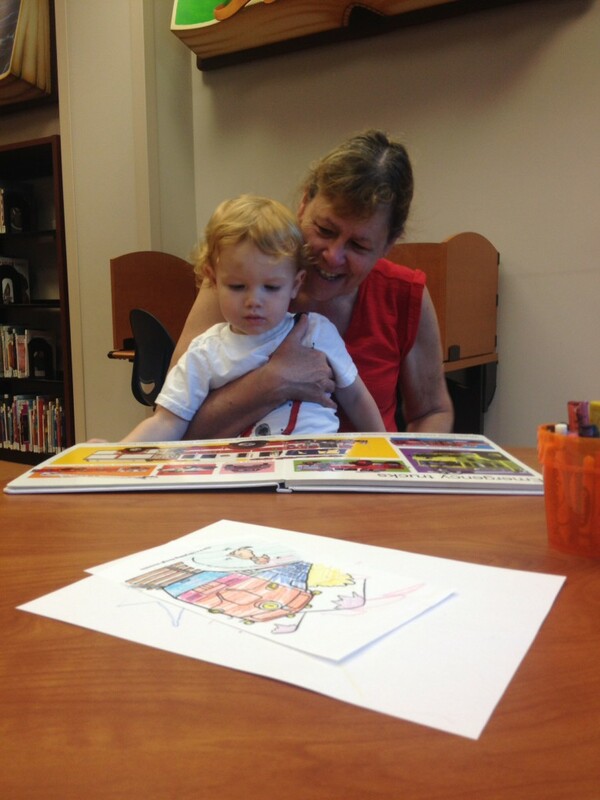 Henry thought reading with Grandma was the best part of it all. Hey! I am a Florida native (Jacksonville, born and raised; now a Tampa Bay resident) former government employee (yo, Philly, I miss you! 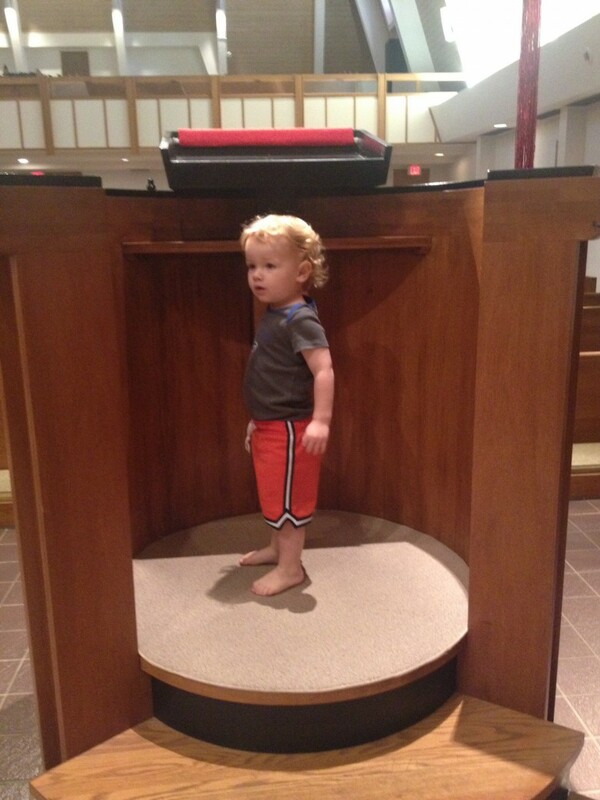 ), a pastor’s wife (with Lutheran flair), and stay at home mama to Henry (my two year old bundle of energy and adorableness, a sometimes deadly combination). Those are a lot of identities, and I’m always discovering more things I’d like to do. Like writing more, starting with this blog. Notice how I didn’t say “writing better”. My husband, Keith, keeps telling me if I want to become a better writer, I need to write more often and establish a daily writing practice. So here it goes. 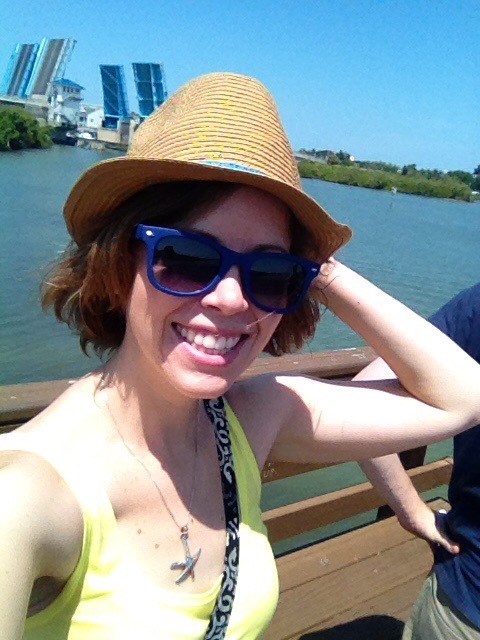 My hopes include documentation of my family’s weekly adventures, to help other families discover the exciting and mundane in Pinellas county as well as record our happenings, my interests (mostly the arts, movies, books, working on my fitness, and travel), and my life. I hope you like it!